Pick up a Community Care bag in the foyer of Bldg. 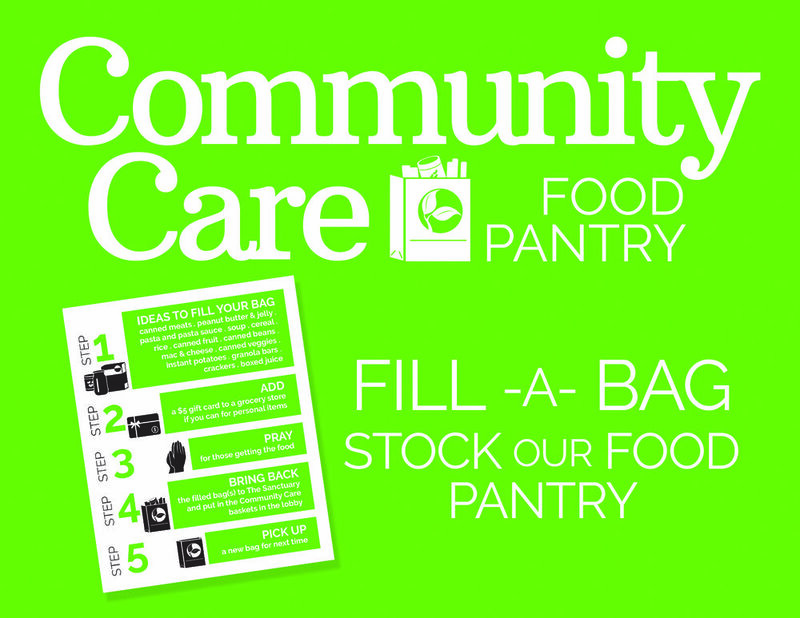 B and return your filled bag to the donation baskets at the same location. Have you picked one up and never filled it? No worries! Just dig it out of your trunk or your pantry and bring it back full this Sunday.